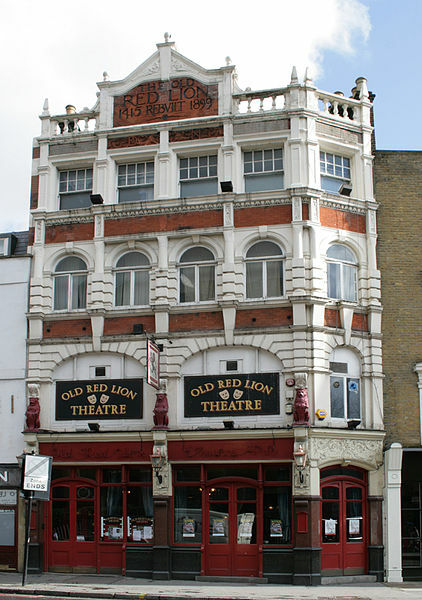 I was heading home on the Number 4 bus last week and as we neared Angel tube station I glanced out of the window to see the Old Red Lion Theatre Pub (ORL). The ORL was one of the first pubs I visited in London and was a regular haunt of mine for a number of years, and I smiled as I reminisced over the countless good times I’d had there. This was before the brewing scene in London really took off, when there was no Craft Beer Co. N1, Three Johns or Hop and Berry. However as my passion for good beer grew, my trips to the ORL became less frequent as I sought the best London had to offer. I miss it though. While the beer range was basic by today’s standards the ORL had (and I assume, still has) “vibe” in bucket loads. Although you can get much better beer a stone’s throw away I don’t think it can be rivaled in terms of atmosphere. I suppose what I’m getting at is that as amazing as the beer scene has become, I wonder if I have lost my sense of what’s important. Can it be right that when invited out to a pub I’m unfamiliar with I get anxious about the prospect of poor beer choices to the extent that I plan reconnaissance missions? And that if I’m not suitably impressed I attempt to get the venue changed to one that suit my tastes? Maybe, maybe not. It’s not just the ORL – there’s a host of pubs I no longer visit on account on the limited beer range. I even prefer to watch Celtic games online now, missing out on the sense of camaraderie and shared experience. It’s just that there’s only so many pints of Guinness extra cold I can drink. I suppose there’s a pub for every occasion and it’s up to us all how we spend our time and money. Maybe I’ll pop into the ORL for a pint of Landlord or two the next time I’m in Angel, just for old time’s sake. And to sample that vibe. Image | This entry was posted in Beers and tagged Angel, Beer, Brewdog, The Earl of Essex, The Old Red Lion Theatre Pub, The Three Johns. Bookmark the permalink.